It’s one of the best parts of a ski holiday. No, not the dreamy fluffy powder or perfectly groomed corduroy, but the incredible meals you deserve after a day on the slopes. The Alps in particular are a destination famed for their mountain cuisine, with Savoyard dishes such as fondue, raclette and tartiflette lauded by skiers as the perfect way to refuel after a day on the slopes. With these dishes, not only do we get the delicious taste and comfort of local cheese and meats, but we also feel we are participating in a traditional cultural experience, immersing ourselves in this local mountain cuisine that has been enjoyed in the area for countless years. For example, raclette has been mentioned in Swiss-German medieval texts dating back to 1291 (!) as a dish consumed by peasants in the Swiss-French regions of Valais, Savoie and Haute-Savoie. However, not all of the Savoyard stapes do have this history and it has been brought to our attention that there is a modern imposter amongst this traditional menu! Meal delivery service Huski have this year taken on the task of creating the ultimate tartiflette as the centrepiece of their new Savoyard range and in delving into the history of the dish have unveiled it’s surprisingly short history. Take a thought back to your first skiing days. The fondue was still blissfully bubbling, the beer was still cold and the snow still great, but was the tartiflette a menu staple back then? If you were travelling before the 1980s, then you may have realised that this seemingly traditional Savoyard favourite was indeed nowhere to be seen prior to the 1980s. In fact, it was not even invented until the ‘80s and instead of being the classic mountain recipe you might expect, passed down through generations, it was instead a glorious marketing ploy. 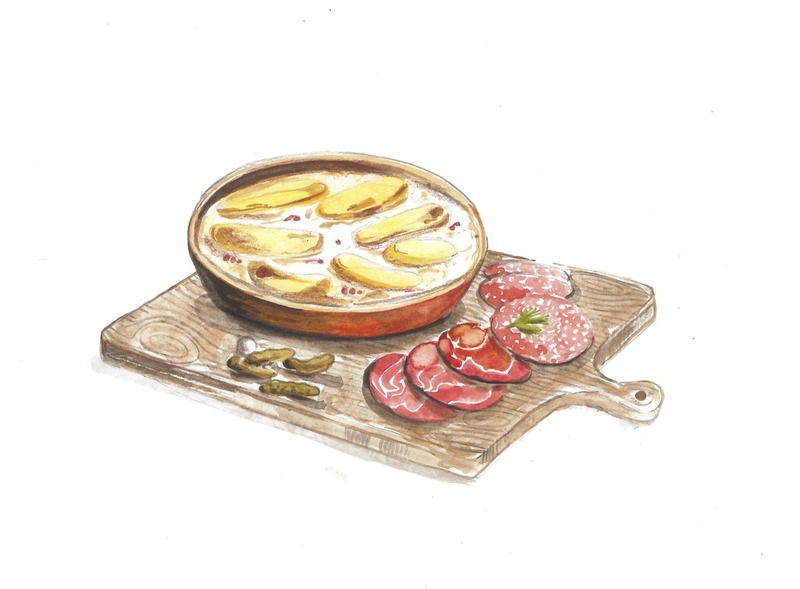 The idea of the tartiflette was dreamed up by the producers of Reblochon cheese (Le Syndicat Interprofessionnel du Reblochon) as a way to combat the diminishing sales of their product! As marketing ideas go, it has to be said that the tartiflette was a resounding success. 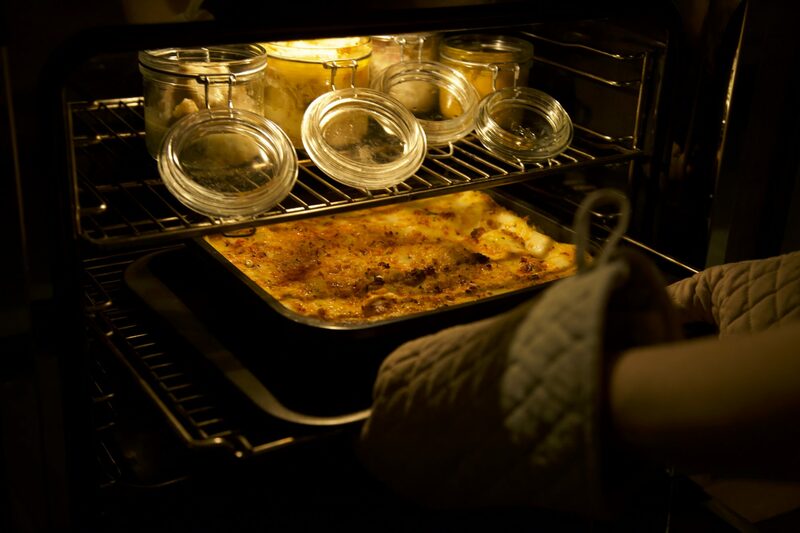 Perhaps unsurprising amongst an audience who have long shown a love for potatoes, cheese and meats, this dish quickly became big hit amongst skiers looking for a delicious, warm, filling meal for their mountain lunch or cosy dinner. So if it’s not a centuries old dish, how did tartiflette become the mountain staple it is today? The name tartiflette likely comes from tartifles, the Savoyard word for potatoes. Yet Reblochon producers likely took inspiration from Savoyard dish ‘péla’, which in fact is a truly traditional dish. ‘Péla’ which can still be found in some restaurants, is strikingly similar to tartiflette, but is cooked in a long-handled pan over the fire and contains only potatoes and onions. Tartiflette, with it’s mouth-watering combination of potatoes, reblochon, lardons and onions, modifies this dish to create an entirely new experience. In our opinion, this cheesy, carby creation is one of the ultimate après-ski dishes, perfect for hungry stomachs after a day on the slopes; less of a challenge than fondue and less heavy than raclette. At InTheSnow, we have made finding the mountain’s best tartiflette a slight personal challenge of ours (and no, that’s just an excuse to eat as much of it as we can…). We were pleasantly surprised to find that one of the best tartiflettes we have ever had was one we didn’t even have to leave our chalet to experience! So what other Savoyard secrets have been hiding from us? Is even the cheese fondue safe?! Relax, this one is definitely a classic, though it also has an interesting past, rooted in clever marketing decisions! While it doesn’t date back quite as far as raclette, the cheese fondue as we know it was already being presented as a Swiss national dish back in 1875! Interestingly though, while we now view fondue as a rustic mountain warmer dish, back in the day it was a city-dweller’s meal, as peasants could not afford the rich cheeses needed, such as Gruyere. Fondue was further popularised through the 1930s by the Swiss Cheese Union (Schweizerische Käseunion) as a way of increasing Swiss consumption of cheese and the dish was then promoted to an American audience at the Swiss Pavilion’s Alpine restaurant at the 1964 New York World’s Fair. Perhaps hoping to emulate Reblochon’s success, chocolate fondue was then created as a promotion for Toblerone! So the next time you sit down around your table for a classic Savoyard meal, you can enjoy these delicious meals and impress your friends with the knowledge of exactly how (and why!) they have become skiing staples.